As a civilian, one's goal is to avoid danger, not to become a violent person. 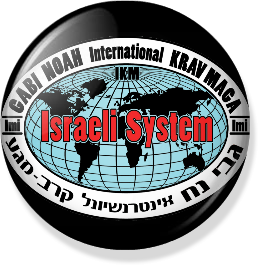 Krav Maga provides one with solutions to various situations where one is required to exercise a certain amount of strength to protect oneself or those whom one has a moral obligation to protect. A basic principle of self defence, first and foremost, is to protect oneself. Thus, when confronted by a violent attack, the main objective is to avoid injury. A defensive stand will not convince the attacker to stop, and so, the response should be aggressive in order to neutralise the threat. One will learn how to use any object with which to defend oneself, such as bags, keys, sand etc. The knowledge gained through Krav Maga training helps one to remain alert at all times and avoid dangerous situations simply by knowing how to identify them and avoiding them before they become a danger. Don't be afraid to join Krav Maga courses. You are not going to kill your opponent, because the lessons are always controlled by highly skilled instructors in order to avoid injury. The method is easy to learn, irrespective of age, or one's walk of life.